Summary: This is another binary options system being resold under a new name. This is not impressive in the least. Today I’m going to be providing a very brief review of the system promising traders over $1000 100% risk-free, My Cash Method. It’s quite clear from the outset that this trading product is more than likely a get rich quick scheme. The sales page, the sales video and anything else associated with this product does nothing to help provide any sort of credibility or professionalism. The product is developed by Michael Thompson, but there is no address for the location of the vendor, nor is there even an email address for support. For all of our reviews on products like these please visit our best binary options software page here. Michael Thompson does a very poor job in the presentation of this My Cash Method. In fact, if you watch the video close enough you will notice that Michael is actually referring to his software as Quick Cash Method. This leads me to believe that this is another rehash trading system. By that I mean, that this software already hit the market under a different tag line and is now being released again for the sole purpose of making the vendor a few quick bucks. I actually reviewed the original Quick Cash Method in June of 2016. This software promised nearly $6000 a day, and was promoted by the same Michael Thompson character. We really aren’t provided much information about this product, we are just told that it works. Here is what we do know. I’m compiling the majority of these features by reading a handful of badges located at the bottom of their sales page. None of these badges are connected to any website or governing body so it’s impossible to verify that this is a luxury product or the “2017 Product Of The Year.” It’s more than likely that the binary options developer Michael Thompson just decided to create this badges to make the product seem more viable. Instead of results, the developer relies on a screenshot of a bank account and a handful of testimonials using stock photos that can be purchased online. These testimonials all provide us with unrealistic claims and no trading statements or verifiable proof. It’s quite clear that the My Cash Method is a binary options trading service that we should avoid. This auto trader makes nothing but unrealistic claims and doesn’t backup a single one of them. These types of products are only doing harm to the binary options market and giving real traders like myself a bad name. I hope that you take the advice in my review and look to utilize a more effective trading software. 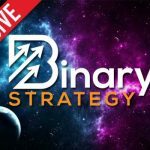 Just yesterday, I put together a video showing an excellent binary options trading tactic that I’m using very effectively, you can watch it here. Have a great day guys.